This is the perfect gift for the dog lover in your life! 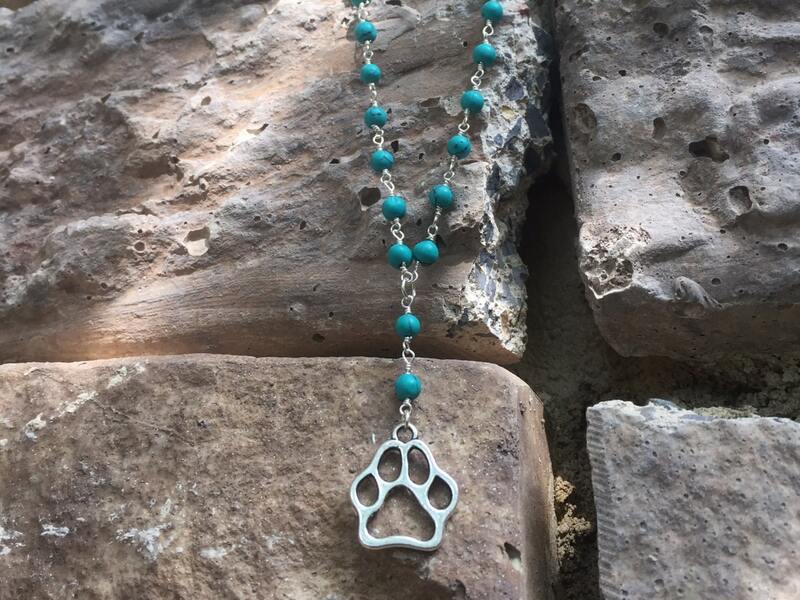 This Silver Dog Paw Charm Turquoise Wire Wrapped Necklace is a fun statement piece. At festivals, Layla Designs' Kids has brought smiles to many adorable faces. To spread the joy, for every Layla Designs kids' piece sold, one will be donated to one to our local children's hospital along with a jewelry kit and handmade card by Layla.